No more switching between individual remotes and no more charging a bunch of batteries for your remote-controlled decoys. This master control DC converter operates up to four battery-powered decoys and devices from one 12-volt marine battery (not included). Controls include: on/off master switch with a running light; on/off master switches for four channels, each with individual running lights; and adjustable settings for time off, run time and speed. 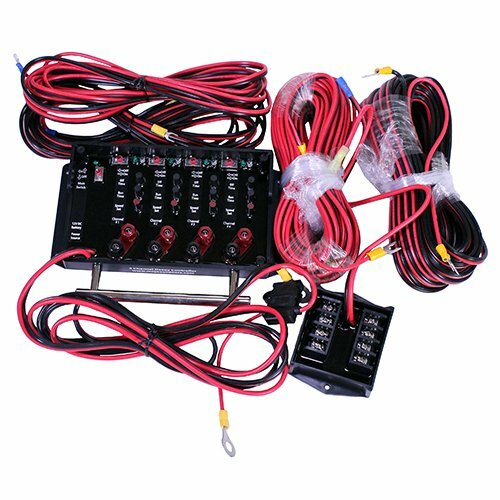 Includes: Decoy Boss, two 55-ft., 16-gauge wire sets, one Expander module and two 15-ft., 18-gauge wire sets for use with Expander module.